Designer Giles Miller worked alongside visualiser Forbes Massie to create this concept for a public artwork clad in moveable slate shingles. 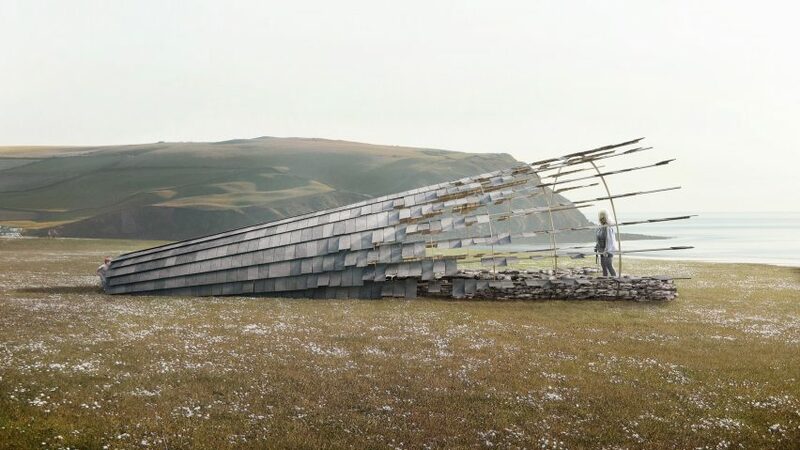 The conceptual Conduit project sees a cone-shaped wooden structure covered in hundreds of slate shingles backed with plywood. Towards the front of the structure, the shingles are designed to be moveable. This would allow visitors to manipulate its surface – opening up the panels to bring light into the installation or closing them to create a cocooned hideaway. London-based Miller describes the installation as an "experiment in space definition", likening its ability to change to a flock of migrating birds or the "ebb of a changing tide". "As our studio continues to conflate the practices of sculpture and architecture, we are finding that artistic conception can often give rise to functional outcomes," he said. "Our primary interest is in the relationship between light and geometry, and in this context Conduit is an experiment in space definition," continued Miller. 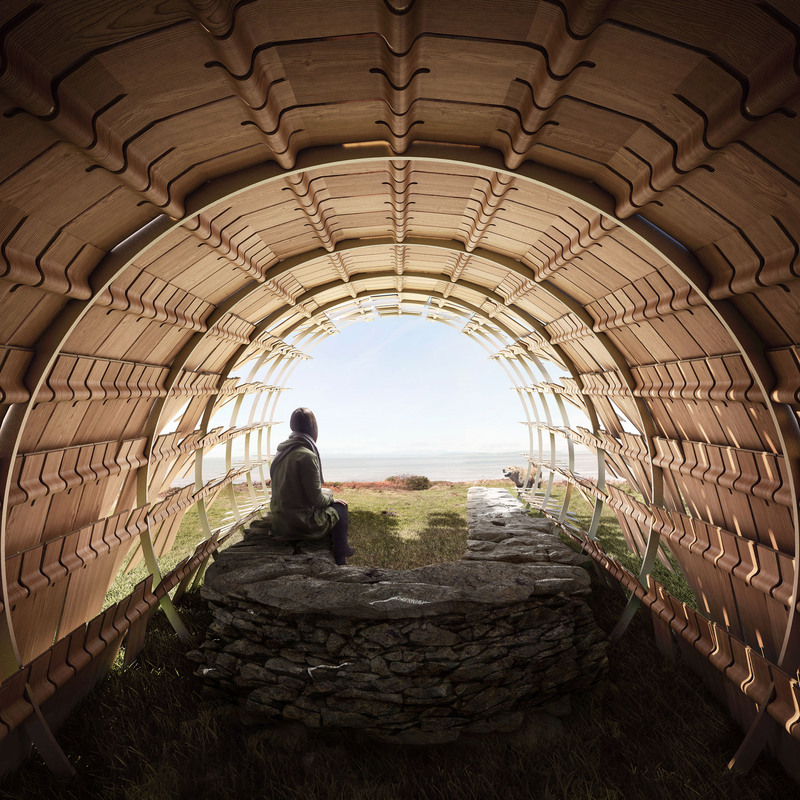 Inside the structure, a dry stone wall seat would offer visitors a place of rest. 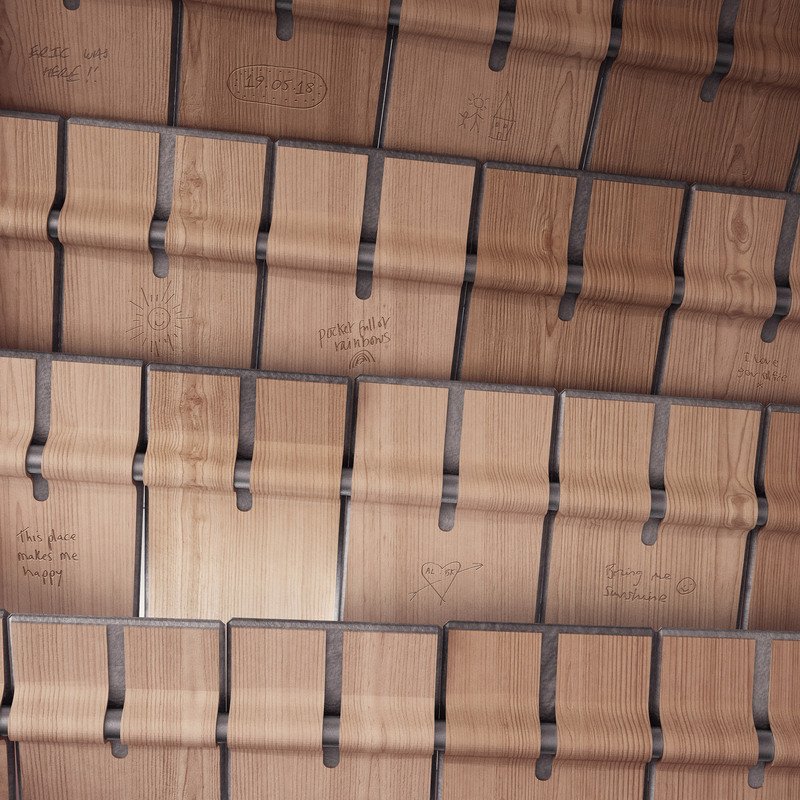 They would be encouraged to engrave on the slate backing – leaving behind messages for visitors yet to come. 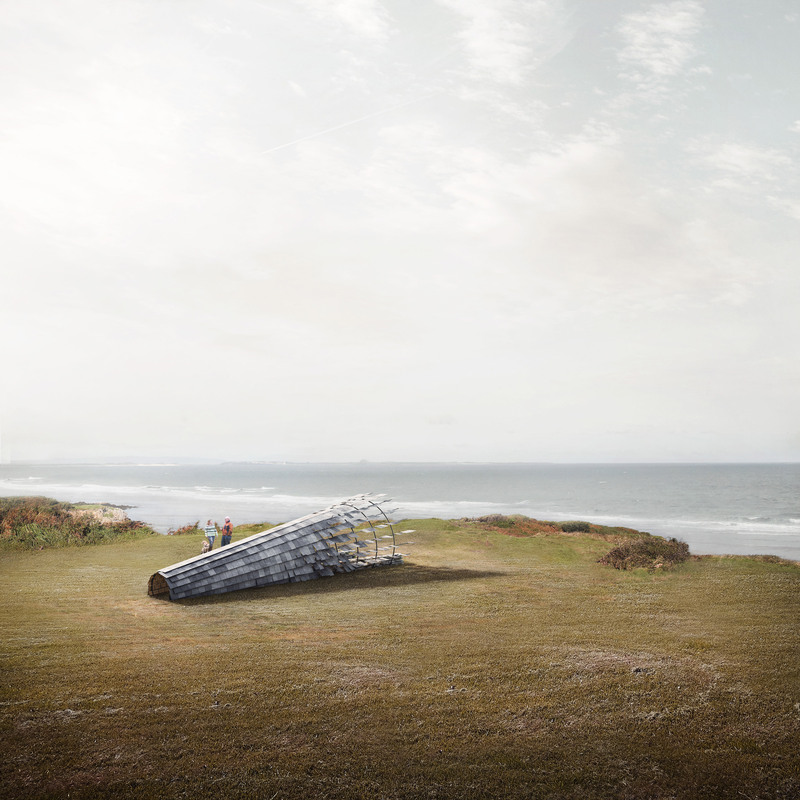 "We want to ask how an artwork can celebrate the connection between the people who will live with it and the landscape that will become its home," said Miller. "Local residents have the opportunity to engrave messages and sentiments onto the internal structure itself – a conduit for the words and feelings of those who will live with it and take ownership of it." This is the second time Miller has collaborated with Massie, having previously worked together to draw up designs for a huge monument with a cross-shaped plan and textured brick walls. For last year's Clerkenwell Design Week, he worked with watch brand Shinola to create a pavilion made from 8,000 lightning-bolt-shaped pieces of plywood. Previously, he created a spherical sculpture formed from hundreds of reflective "pennies" for Devon's Broomhill Sculpture Park.